The Met Office, well-know weather forecasters, are to offer a world’s first – a free-of-charge (beyond any of your own mobile data charges), video on-demand weather service to your mobile phone. Adobe have launched a stand-alone Media Player (AMP). Using Adobe Air, the AMP plays back high quality video both on PCs and Apple computers at standard def and 1080p. 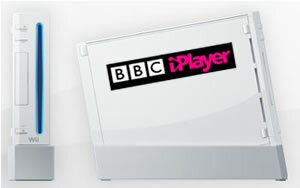 BBC iPlayer is further expanding the hardware platforms that it’s available on – the last was a troublesome iPhone launch. The latest is the Nintendo Wii, announced today, bringing the advantage that the iPlayer content can be viewed on a ‘normal’ TV, rather than on a computer screen. ABC VoD To REMOVE Fast-Forward! 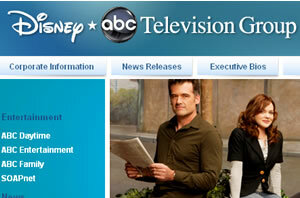 The Disney-ABC Television Group in the US has released a Video on Demand (VoD) service. Not exactly news for DL is it? We’ve been reporting this type of thing for years. Here’s the news. What ABC have done, in an inexplicable move, is _remove_ functionality that is standard in VoD services normally. They’ve decided to take away the ability to Fast-Forward. Continue reading ABC VoD To REMOVE Fast-Forward! Just over two years ago we covered the launch of FiOS TV, an IPTV service by US operator Verizon, that operates over fibre optic connections. HD VOD – High Definition Video On Demand – has now being rolled out to a number of the regions covered by the FiOS TV service – Richmond and Virginia Beach, Va.; Tampa, Fla.; Fort Wayne, Ind. ; and Pittsburgh. 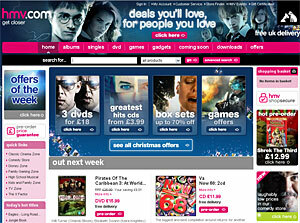 Retail big boys HMV and Play.com have announced that they will be joining the online party by launching their own film download services in the next six months. Play is understood to be whipping out its a movie download service within the next few weeks, while HMV’s service is still getting polished up for a launch at the beginning of next year. Finally the BBC Trust appears to be open to talking about the iPlayer going Open Source. Good to see that the BBC Trust is to take representation from the Open Source Consortium (OSC) regarding their concerns about the fact that the BBC iPlayer is currently dependent on Microsoft’s Windows DRM. The OSC made an official complaint to the BBC Trust in January this year but did not hear back from them until now. Quite unlike Ofcom and the old DTI, who they did get replies from. 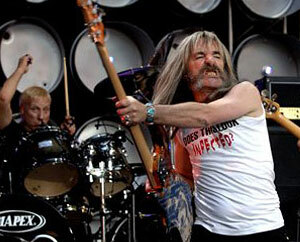 MSN is claiming that their live streams of last weekend’s LiveEarth gigs attracted the “most ever” online viewers. By 8pm last evening, MSN said that it had whipped up more than 10 million video streams, earning it the crown of being the most simultaneously viewed online event ever.